* All other documents for discovery must be requested through Marlboro Records and are subject to 1/1/13 Rule7:7-7 fees along with shipping fees. 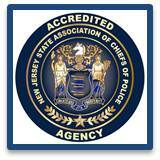 ** No files for discovery will be sent via email in any format- NJ Division of Revenue and Enterprise Services requires certification of records for electronic recording. Marlboro Records is not certified by NJ Division of Revenue and Enterprise Services for scanning records. Furthermore to ensure security, Marlboro Records will not sent emails or emails with attachements of any discovery documents. Security over non-secure email transmissions or pdf. attachements are of concern when sending un-redacted and sensitive information via email.